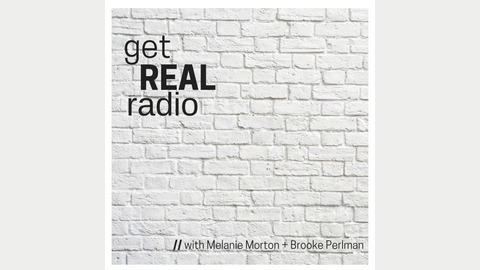 Welcome to Get Real Radio, your hosts and holistic practitioners Melanie Morton & Brooke Perlman will dig into so many different topics including nutrition, fitness, self care, entrepreneurship and more! Taking experience from our own lives & health journeys, we are here to share the real deal, answering your questions along the way. Exciting guests who are experts in their fields will join us in some real talk in order to help listeners live a full and thriving life. Get ready to get real! episode #32: our goodbye episode + a giveaway! 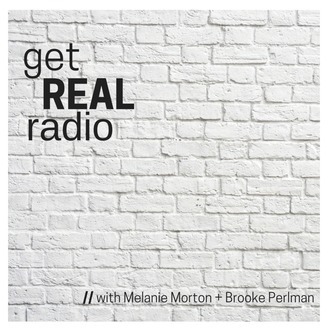 Welcome to Get Real Radio with Melanie Morton and Brooke Perlman! We’ll be here on your favorite podcast app every Wednesday and while you’re listening, we’d love it if you left us a rating and review! Today as we say goodbye to the podcast, we also have a little “thank you” giveaway for our dedicated listeners! To get in touch, suggest a topic or submit a question to be answered on the show, please contact us via instagram, our blogs, or email us at hellogetreal@gmail.com. We always love hearing from you! Lessons By Brooke & Company, LLC. We are always on the lookout for new & exciting real food products to share with our listeners and Sweetpotato Awesome is just that! These freeze dried, organic sweet potato slices are delicious and just so happen to be: AIP, Kosher, paleo, gluten free, grain free, dairy free, and vegan. Click here to learn 333 ways to enjoy The Awesome! Formerly known as “Paleo Scavenger Granola”, founder & friend Brittany Chibe, just recently rebranded to Within / Without Snacks in an effort to support label-free, nutrient dense lifestyles. Within / Without grain free granolas are made from the best ingredients and still come from the same, delicious formula as before! We love this granola on top of smoothies, with your favorite milk as a cereal, and for delicious, energy-fueling on the go snacking! Use the code GETREAL at checkout for 15% off of your online order. Thanks for your support! episode #29: motherhood + parenting part 2: infertility, getting pregnant, pre/during/post pregnancy nutrition, diet & lifestyle tips, postpartum recovery and SO much more!